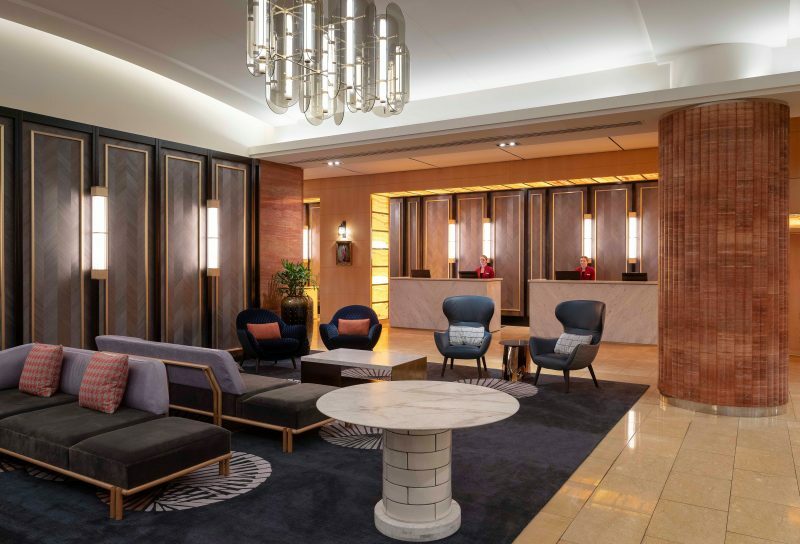 In the heart of Sydney’s CBD, five-star Amora Hotel Jamison Sydney offers 415 spacious guest rooms with separate bath and shower, along with a service that sets the standard for Sydney hospitality. 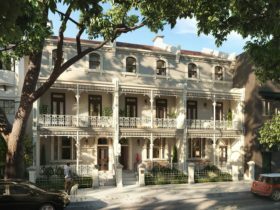 An easy walk from Circular Quay, The Rocks, Barangaroo and Opera House, and only a few minutes from Wynyard train station makes Amora one of the most desired locations for those travelling on either business or leisure. 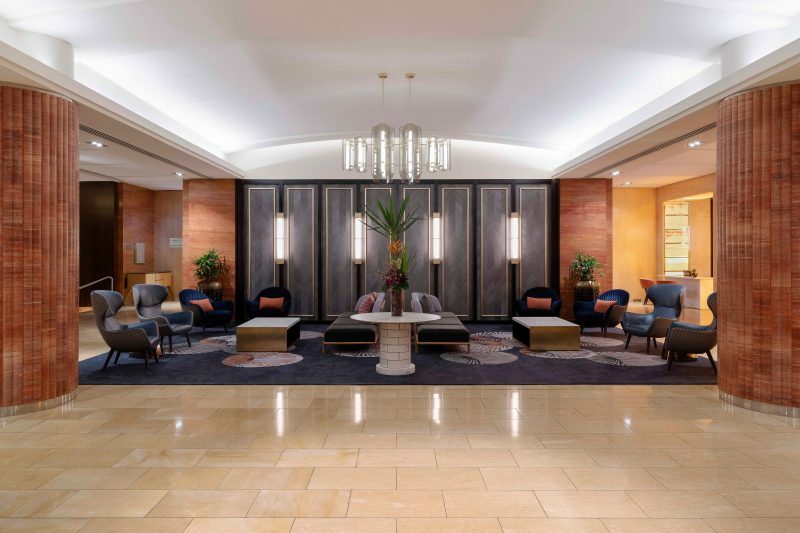 The hotel amenities include 10 meeting spaces that cater for four to 370 people, along with a new restaurant and bar. 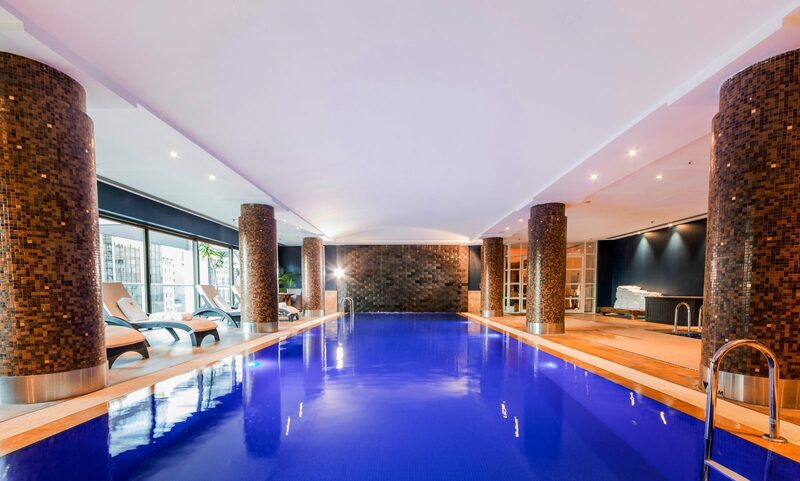 Amora’s indoor heated swimming pool, sauna, Jacuzzi, steam room, day spa, complimentary WiFi and 24-hour room service makes the hotel an ideal business and leisure destination. 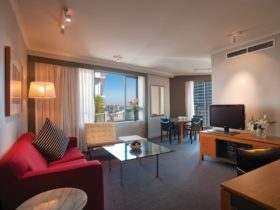 Offering exceptional value for money, Amora Hotel Jamison Sydney is worth the visit. Studio style room, contemporary in design with one king size bed or two double beds. Deluxe rooms are located on levels 4 to 29 of the hotel and feature city skyline views and/or Jamison Street.. Room features include large bathroom with separate shower and bathtub, complimentary Wi-Fi, in-room pay movies, mini bar, complimentary tea and coffee making facilities, in room safe, hair dryer, iron and ironing board. Rooms are approximately 32 square metres in size. Deluxe Corner King rooms have one king size bed and are located on the corners of the hotel from levels 4 to 29. This translates into spacious and luxurious rooms, featuring extra city views and an extensive range of in-room entertainment facilities. Room features include large bathroom with separate shower and bathtub, complimentary Wi-Fi, in-room pay movies, mini bar, complimentary tea and coffee making facilities, in room safe, hair dryer, iron and ironing board. Rooms are approximately 38 square metres in size. 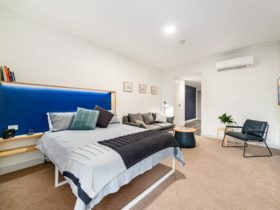 One bedroom suite with separate bedroom and lounge area featuring one King size bed, large bathroom with separate shower and bathtub, complimentary WiFi, in-room pay movies, mini bar, complimentary tea and coffee making facilities, in room safe, hair dryer, iron and ironing board. Approximately 52 square metres. 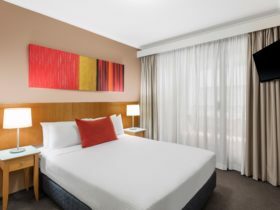 Our Deluxe Twin Rooms in Sydney feature two double beds and are ideal for twin occupancy or a young family of up to 4. Room features include large bathroom with separate shower and bathtub, complimentary Wi-Fi, in-room pay movies, mini bar, complimentary tea and coffee making facilities, in room safe, hair dryer, iron and ironing board. Rooms are approximately 36 – 38 square metres in size. Our Deluxe Tower King Rooms are suited for double occupancy and fitted to a high standard with all the latest amenities. Located on floors 4 – 21. Room features include large bathroom with separate shower and bathtub, complimentary Wi-Fi, in-room pay movies, mini bar, complimentary tea and coffee making facilities, in room safe, hair dryer, iron and ironing board. 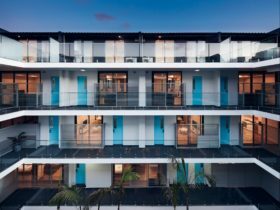 Rooms are approximately 32 – 34 square metres in size.